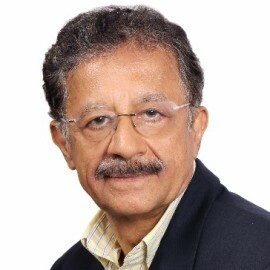 Anil Sinha is presently Senior Advisor at GIIN. He was previously Senior Manager IFC and Regional Head of Inclusive Business and Advisory Services South Asia, which he started from scratch. Anil was with IFC for about 22 years and lived and worked in Africa, East Asia, South Asia as well DC. He started his career with IFC in 1992 as an Investment Officer in Harare covering Zimbabwe, and Angola and Mozambique. He then moved to Hanoi, Vietnam in 1997 as part of a core team to start a new program to extend IFC’s reach through small business investments as well as launch the Mekong private sector and SME Advisory program. He them moved to Ho Chi Minh City to expand the Mekong program in Vietnam, Cambodia and Laos as Regional Manager. Moving to Dhaka, he started from scratch, large innovative advisory programs including access to finance, sustainable business advisory, investment climate and PPP with a focus on increasing shared prosperity. He expanded the IFC program to Nepal, Bhutan, Sri Lanka and lately India with many first time partnerships with development institutions, state and national governments, corporates and foundations. He built and led a strong team of 140 diverse IFC staff in South Asia and was awarded the Bank Group Diversity and Inclusive leadership Award. A number of the Inclusive Business projects he led have won awards internally and externally.